» free | Is Not Broke Recession Proof Wallet Co.
Don’t think the irony of making wallets in the worst economy of our lifetime is lost on us. In fact we revel in the idea, and hope that you will join Is Not Broke on our journey navigating these uncertain waters by telling us your story. It can be anything. Whether you’re scraping by with odd jobs, growing food, fighting a disease, working in an office, living on unemployment, or investing in gold – we want to hear your story. 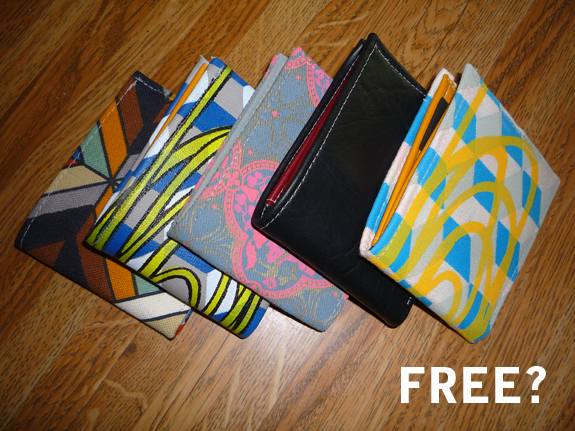 If we like it, we’ll make you a wallet – for free. That’s right – artist Bob Snead will design a wallet based on your story, and you get a free wallet out of the deal! Your story will be featured on our website and your wallet will become part of our Upturn Series… Soon you will always have money.